В ходе своей работы CCleaner (Crap Cleaner) ищет и удаляет временные и неиспользуемые файлы. Сюда относятся: cookies, история посещения сайтов в IE, временные файлы Интернета, строки поиска, файлы Корзины и т.д. 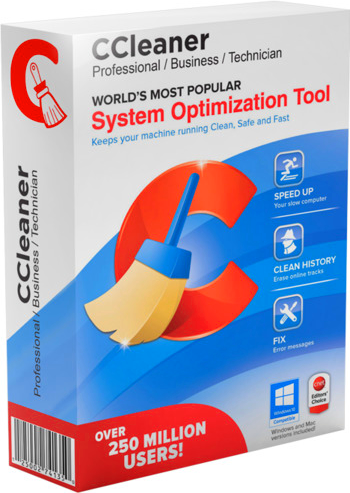 Piriform CCleaner is a system optimization, privacy and cleaning tool. It removes unused files from your system – allowing Windows to run faster and freeing up valuable hard disk space. It also cleans traces of your online activities such as your Internet history. Additionally it contains a fully featured registry cleaner. But the best part is that its fast (normally taking less than a second to run) and contains NO Spyware or Adware! · Registry cleaner: Advanced features to remove unused and old entries, including File Extensions, ActiveX Controls, ClassIDs, ProgIDs, Uninstallers, Shared DLLs, Fonts, Help Files, Application Paths, Icons, Invalid Shortcuts and more… also comes with a comprehensive backup feature.